Spring is nearly here and we all know what that means: It’s ROSE’ season!!! Who doesn’t right? Well, if you’re one of those who haven’t discovered the beautiful qualities of Rose’ let me help you out. Technically Rose’ is just a white wine made from Red grapes. Rose’ can be made from nearly any red wine varietal. The color of red wine comes from the skins of the berries and that the longer the juice and the skins hang out together, the darker the color of the wine. Well, with Rose’ it’s the same – only opposite. In the industry we call it the “one-night stand” where we only let the skins and the juice hang out together for about 24 hours before the juice is pressed off the skins and the wine is fermented and processed just as one would a white wine. Read about how Rose’ wines are made here. 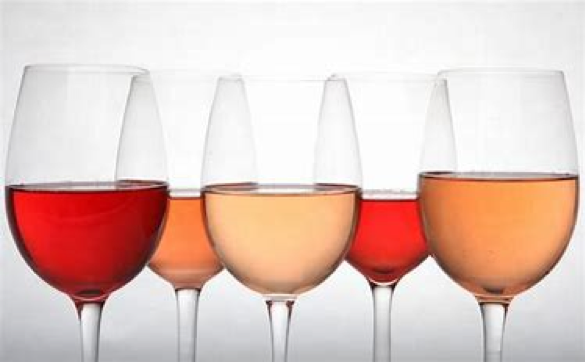 Rose’ wines are bright and crisp because of their high acid content and pair deliciously with most foods. Roses’ can also have varying levels of residual sugar – so if you find one you love that has that hint of sweetness, pair that with your favorite Thai food. Sugar loves Spice as we say…right after we say Rose’ All Day! You can book a wine tour with Barrel Wine Tours and sample some of the local Woodinville Rose’.